Project management at your agency is probably evolving as quickly as your agency clients adopt new procedures or technology. “One thing for sure in the agency business is that change is ever present and sure to happen next month,” says Ellen Coulter, president of the Advantage Software Company. “This is the major motivation behind our product evolutions because we want to be the resource that agencies of all types depend upon as the market shifts, ebbs and flows.” Our creative project management software helps your business stay on task. Increased productivity and agency efficiency. Agency collaboration – Communication with agency team members and vendors sitting next to each other or across the country rely on AQUA to be the foundation for project collaboration and tracking. Task automation – The genius in your agency is the strategy, planning, creative execution and the followup with clients. Let us take care of the task automation so you can spend more time with your team creating genius. Tracking data and reporting data – Immediate access to data of every type helps your agency pivot quickly versus building and adapting Excel reports prior to meetings. We have that taken care of like a boss. Our extensive agile project management software along with tracking and reporting tools give you instant access to make decisions on the fly when the client calls. Irregular working hours across teams – Our mobile and 24-hour world requires flexible task management software tools that are up and available at any time or day of the week. We built the 24-hour access cycle for agencies to have access to every piece of the agency and client pie. Long live the agency! Our agency partners already have their schedules and timelines built inside AQUA. Now we can help you create sprints or simply manage daily tasks. Using our new ‘Boards’, and the more detailed Kanban, you can do this with creative project management software all without drilling down to schedule tasks! We’re even including Alert Assignments. 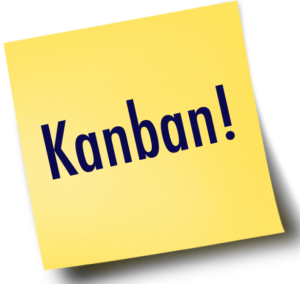 For a demo on how Kanban can integrate into your AQUA Advantage program, please contact Tina Hussion at tina.hussion@gotoadvantage.com or call 800-841-2078. Also, be sure to register for our Agency Project Management mini-conference October 8-10, 2017 in Asheville, NC.